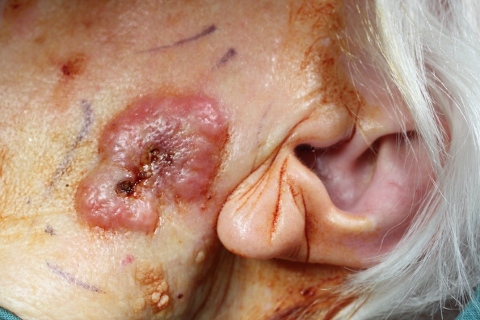 Please find below detailed information on Squamous Cell Carcinomas. Aspirin ceased at two weeks before surgery. 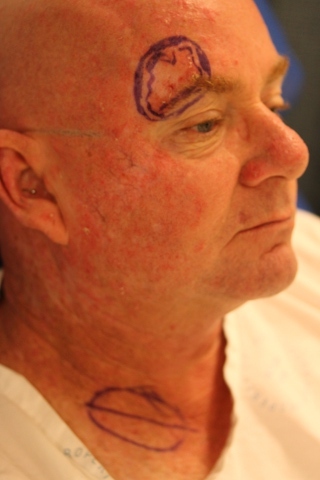 Warfarin / other blood thinning agents – variable management and instructions will be given by Cosmetic Surgery Sydney. In a fund – performed in a private hospital – no extra gap payment. 1. 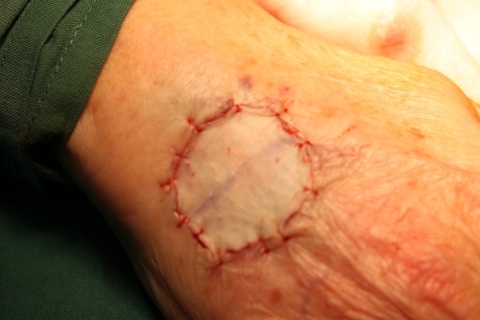 Simple excision with primary closure (when there is sufficient loose skin available to close). 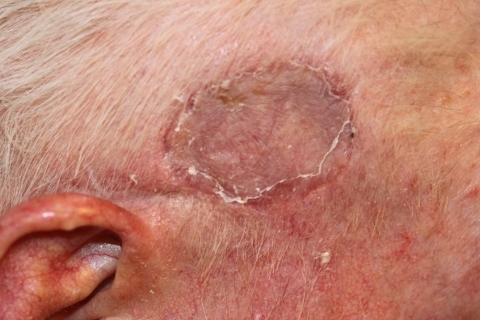 because of sufficient loose skin available. 2a. 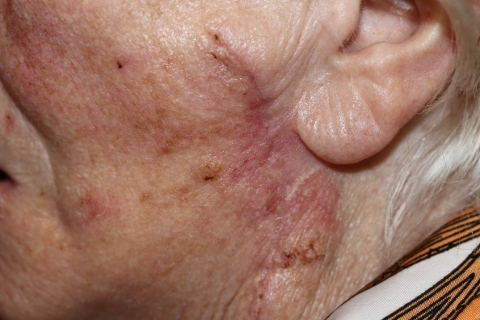 Small SCC right cheek – simple excision with primary closure. 2. 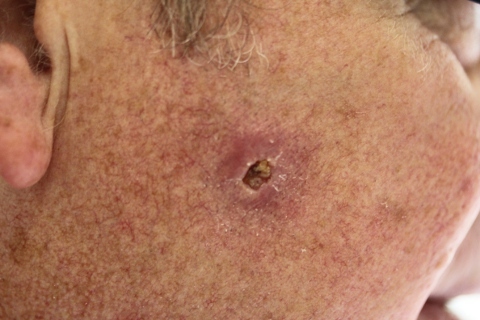 Excision then closure using local loose skin moved in as flaps. SCC disease, right cheek 6 month growth. Excision with flap repair. 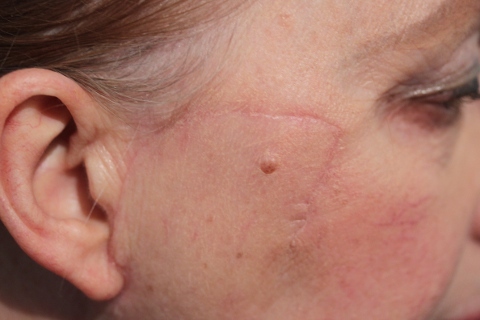 6 month result ideal, inconspicuous incisional lines. 3. 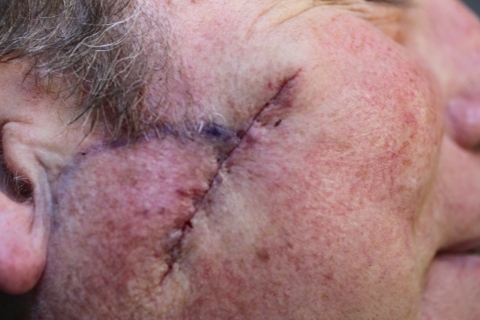 Excision then closure with a skin graft repair. 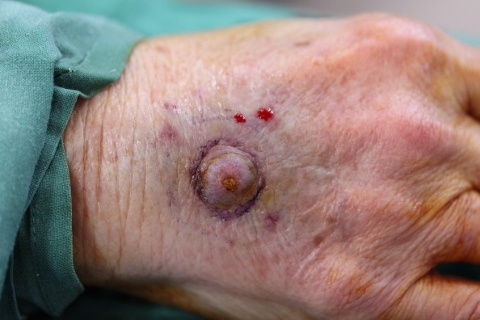 SCC disease dorsum of hand, 4 month growth. 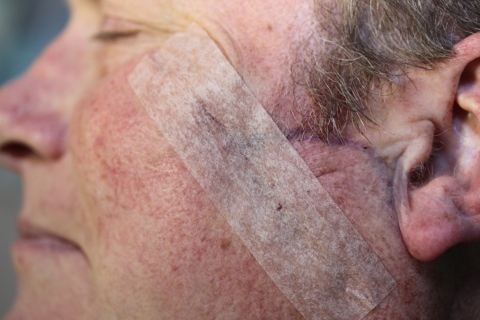 Skin graft repair after excision. 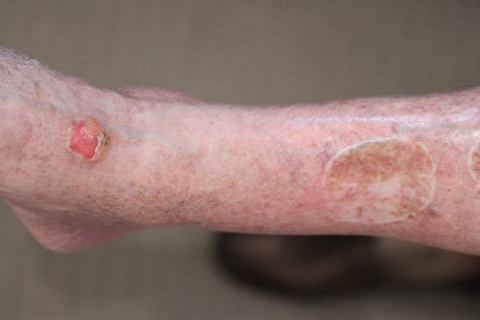 SCC disease dorsum right foot, skin graft on leg from previous injury. 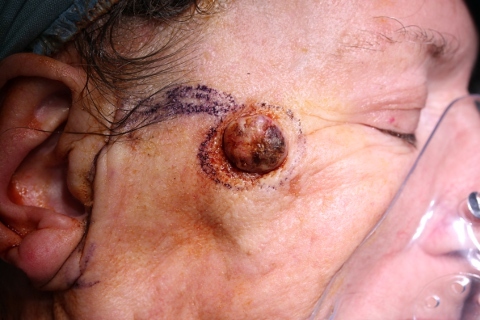 lower right neck for repair of defect. 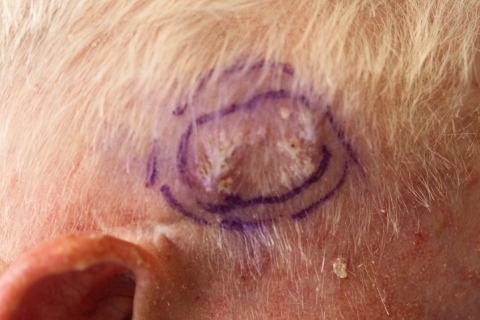 SCC disease right temple, excision with graft. Graft repair at two weeks. 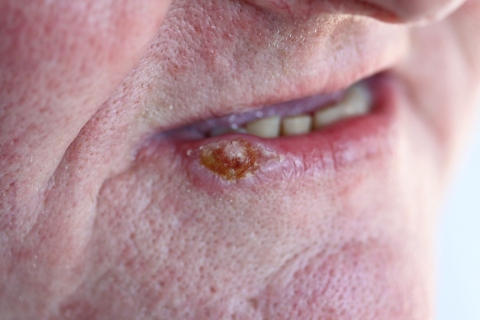 SCC disease lower lip for wege excision. 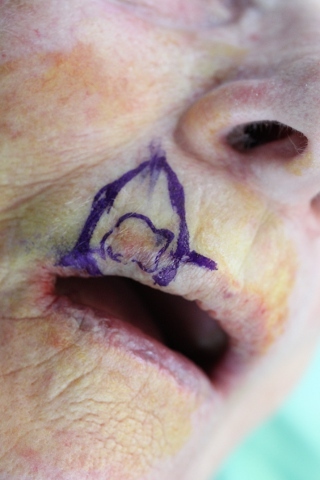 Wedge excision for SCC upper lip. 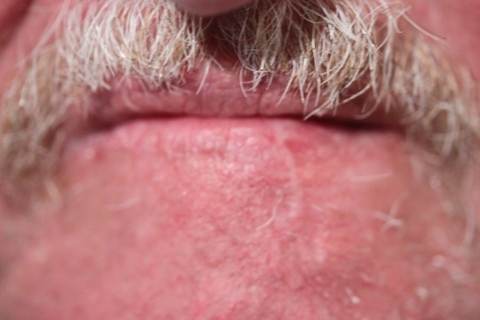 Healed result of wedge excision lower Lip. After amputation of the digit.